The economic model of Thailand 4.0 is considered a new concept for converting the “production-based economy”, which has long been implemented from the past until 2016, into “value-based or value-driven economy” through an adoption of science technology and innovation (STI), research and development (R&D), and reformation on education, human resources, and labor forces at the same time. With the purpose for driving a new wave of economy concretely, the Cabinet therefore approved of the proposal submitted by the Ministry of Industry regarding “10 Targeted Industries: Mechanism for Driving the Future Economy”, consisting of 5 First S-curve and 5 New S-curve under the investment promotion and tax privileges, on 17th November 2015. Among the 5 First S-curve industries, two areas of agro and food industries are included. These are “Agro-industry and Biotechnology” and “Food-processing Industry”. 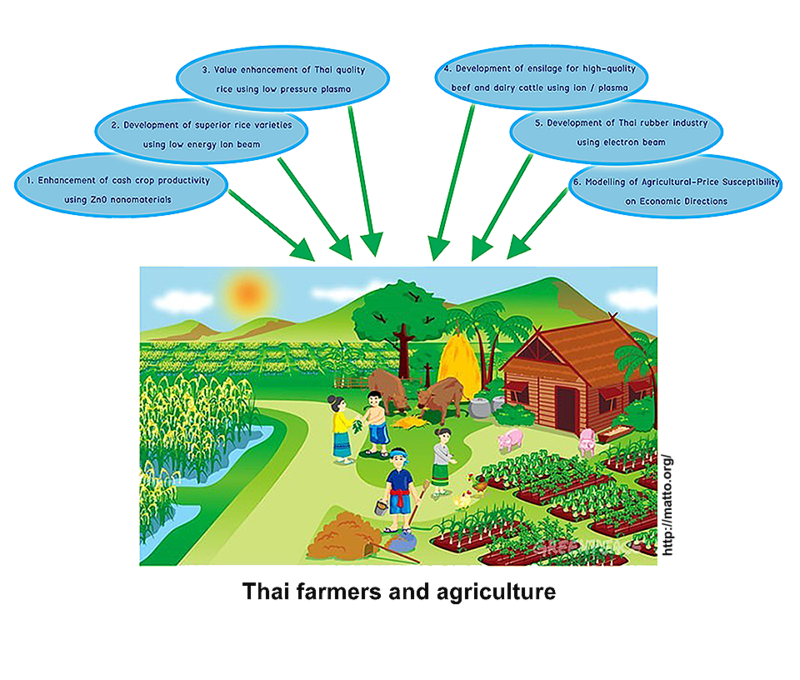 Thailand Center of Excellence in Physics (ThEP Center) has realized the importance of these two targeted industries because food not only is one of four necessities for human beings but also reflects the background of Thailand as an agricultural country since the ancient times. In fact, Thailand has its favorable climate, folk wisdoms, and cultures associated with the agricultural cultivation which is formed into its national identities. That is to say, this industry is blessed with the competitive advantage of Thailand’s existing “nature” and “cultures”.